Before website designers begin designing a website, they need to get into the minds of their clients. They need to have a clear idea of what the client wants to be able to deliver on their expectations. They cannot deliver on their expectations without knowing what it is exactly that clients want from their websites. But, the difference between successful and the not-so-successful website designers it that the successful ones go one step ahead and ask certain questions that others might not have on their radar. This gives them clearer insights into the design project allowing them to take designing decisions that help create a results driven website. 1. What are your business goals, what is your mission and what are the values you swear by? With this question designers are trying to understand what makes the client’s business tick and what does the client want to achieve through his business. By understanding his business goals, you know where the client sees his business heading in a few years. Apart from growing financially, what are the other goals he has in mind – is it more respectability, is it tapping into newer markets, is it improving on his loyal customer base or is it something else? As far as values are concerned, you need understand the work ethic that drives his business and which he wants his brand to exude? In terms of the business’s mission you need to know what specific purpose that he wants his business to fulfill. 2. 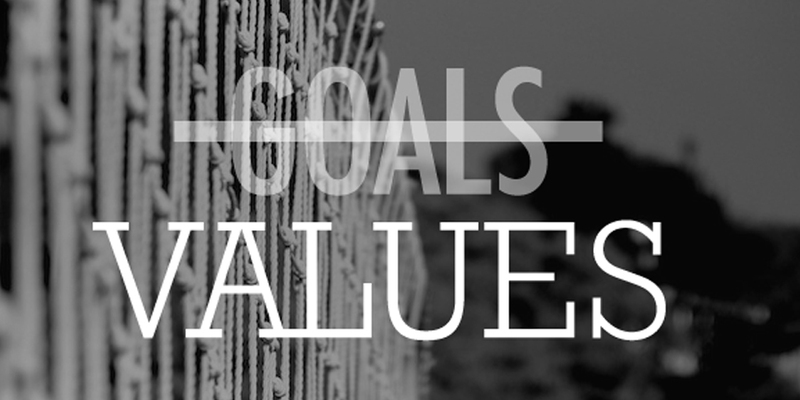 Do you want your website to achieve the same goals and exude the same values? A website is the online identity of your client’s business and more often than not, clients prefer that it projects the same values and its goals are consistent with the business’s goals. But there are times when a client wants to trigger a change of perception about their business. Some want their old business to look more contemporary to market it to younger audiences; others want to lend their business with more credibility and there are still others who want to rebrand their business. By asking this question, you are setting the stage for knowing the client’s purpose vis-à-vis the website. 3. Who do you want the website to target/who is your customer? The website will target a specific audience made up of potential customers of your client’s business. But who exactly are they? Which age group do they belong to? What is the financial bracket they fall under? What are their interests and preferences? Why does the client think the products or services he is offering will be used by this target audience? Do client want their websites to cater to just this audience, or they want it to cater to a broader audience? The success or failure of any website design depends on how well it can cater to the needs of its target audience. But, in order to cater to their needs, you will need to first understand the demographic characteristics of your target audience. Who better to tell you about the target audience, than your client? 4. How will you measure your website’s success? How will your client judge the success or for that matter the failure of a website? This is a very important question, and will determine the designing decisions you make. So, if the client will evaluate website success by the number of people asking for a quote for his services, you can make sure your calls-to-action buttons are crafted and placed to persuade people to ask for a quote. But, if the client wants website profitability to be measured by revenue generation, you can make sure your design persuades a visitor to buy the product or service sold by the client’s business. 5. Do you have any design preferences? If you are working with a hands-on client, he will have his own ideas about how he wants the website to look and the vibes that it should exude. But such clients are not a problem really because they usually have a clear idea of what they are looking for. It’s the ‘confused’ clients that will create problems for you. These clients have no idea how they want their websites to shape up, but want it conform to the latest trends. So, they will want you to adopt a flat web design adopt, integrate some retro elements, ensure it adheres to the principles of minimalist web design and do a whole lot more. I am not joking; they want their website’s design to be everything and then some more. This question sets the ball rolling for understanding what they want and making them understand why something is not feasible. You need to be able to clearly explain to a particular client why a particular design approach will be good for his project, and why something won’t work. Both you and the client must be on the same page, right from day one; you don’t want problems to crop up when the project is well underway. 6. What is the website USP you wish to project? There are some websites that are popular because they offer solid, reliable and useful information to website visitors, there are some who can be trusted to deliver the latest news stories about a particular niche, and there are still others who can be guaranteed to deliver the best services in a niche. A website doesn’t work without a USP; this Unique Selling Proposition is the reason why people visit a site. As a designer, it’s not your job to decide the USP of the site. It’s the website’s owner (the client) who has to take a call on determining his website’s USP. So before you get cracking on the website’s design make sure you know the website USP that the client wishes to project and then work towards making it happen. 7. How often do you want me to apprise you of project progress? I have come across clients who wish to be updated regarding their project status every other day. This is not necessarily a bad thing, but it does get on your nerves, if you haven’t prepped yourself up to a client calling you up every other day to inquire about the status of his project. So, make sure you ask this question; it helps set up a clearly defined channel of communication, ensuring the client is kept in the loop at all times, about where his project is heading. These are seven questions that will help you understand you clients better and also get a clear picture of their expectations from you as a website designer. This will help you come good on their expectations and at the end of the day you will have a very satisfied client on your hands. John Siebert is the President and CEO of TranquilBlue – A Web Design Tampa Company that focuses on all kind of website design, mobile app development and search engine marketing.